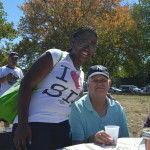 September 11th – 17th marked Direct Support Professional Recognition Week, in honor and recognition of the tens of thousands of workers who support people with intellectual and developmental disabilities in communities nationwide. Direct Support Professionals are on the frontline, providing services that enable people to have and make choices about their daily lives, live in the community near family and friends, and participate in the activities that bring them joy. 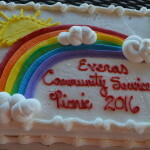 Everas is proud of our staff and the important work they do each day to care for and improve the quality of life of the people in our programs. While we are happy to participate in the national recognition campaign for DSP Week, Everas is grateful every day for our caring and committed staff who work tirelessly to ensure that our clients receive the support they need to lead lives in the community. Thank you for every late night and long hour, for every snow storm trudged through to make it to work, and every ‘extra mile’ and ‘above and beyond’ that makes a difference to the people in our care. 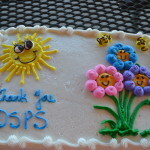 We were pleased to end the summer and commemorate Direct Support Professional Recognition week with an agency-wide picnic. Held at the beautiful Knob Hill Pavilion of Somerset County’s Colonial Park, Everas clients and staff came together for an afternoon of barbecue favorites, dancing, crafts, sporting activities and music. Events such as these are not possible without the generous donations made to our organization from individual donors and private foundations. 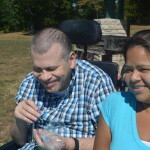 If you would like to support Everas through a tax deductible donation, please follow this link.